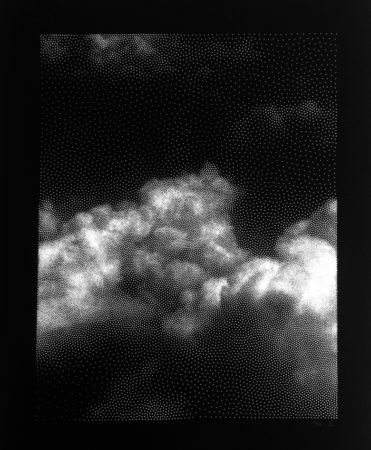 Lemercier’s obsession in representing natural lanscapes was held down by current computers ability to model reality: the inner structure of clouds being one of the most challenging to recreate with software, many of his attempts to represent skies with digital tools fell flat. used a “weighted Voronoï ” algorithm to transform them into a monochrome screen-print. 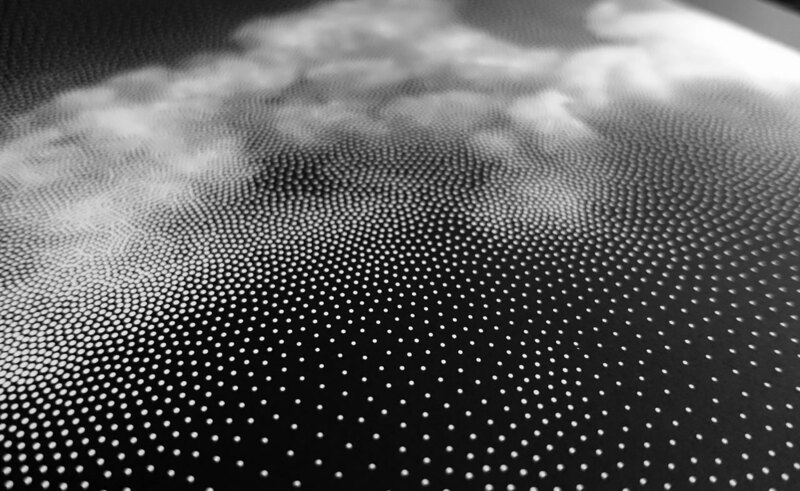 The reduced amount of dots gives a sense of volume, transparency and particles density that our computer models would fail to preserve.